Cousin "Crazy Tony" Lindsey stars alongside Alana Thompson, better known as "Honey Boo Boo," on the TLC show. 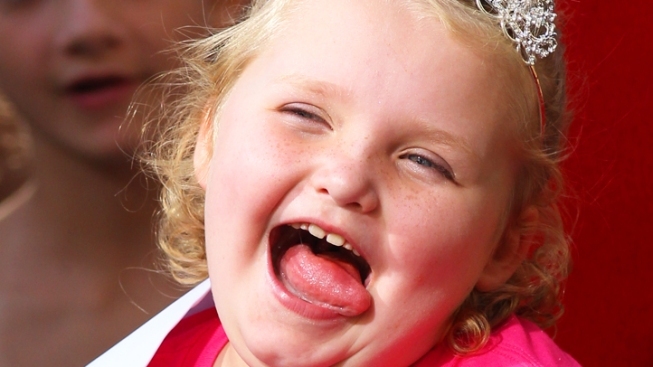 It seems a "Here Comes Honey Boo Boo" star has taken his antics one step too far. Cousin "Crazy Tony" Lindsey was arrested earlier this month for reckless conduct while allegedly speeding along a Georgia highway in a gorilla suit, E! News confirmed. "I observed a white male dressed in a gorilla suit acting as if he was going to jump into my lane of travel. I swerved into the left lane to avoid an accident with the person," wrote Deputy Joe Rozier in a police report obtained by TMZ. Rozier said that afterward, he saw several white men run up an embankment into the woods, at which point he shouted that he was sending a dog to find them. After he caught up with them, Rozier said they confessed to ditching the gorilla suit in the woods, according to the police report. The suit was taken in as evidence. "Crazy Tony" is known for acrobatic four-wheeling stunts on the show.